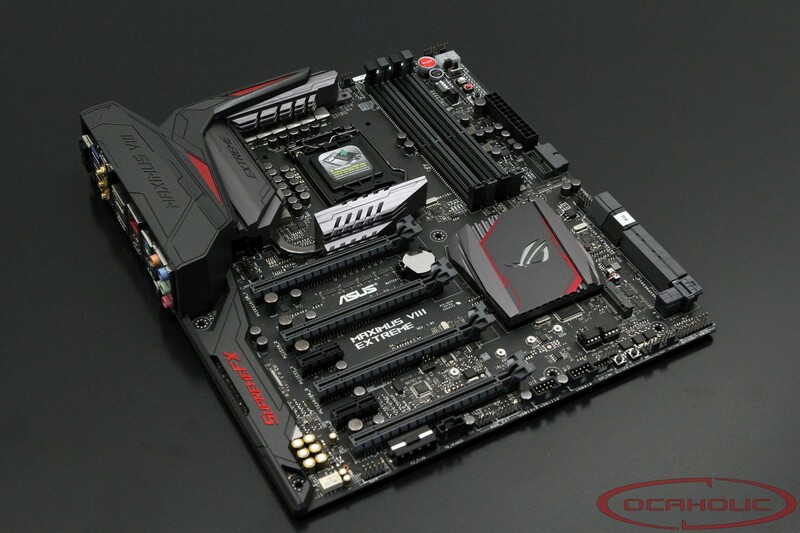 The Maximus VIII Extreme, is ASUS's new flagship overclocking and gaming motherboard regarding Intels latest Z170 chipset. Next to a never-ending feature list there is the new ROG design. Meanwhile we're rather curious to find out more about all the different components ASUS has put on this motherboard. The Maximus VIII Extreme is ASUS's latest and greatest high-end overclocking motherboard based on Intel's Z170 chipset. It's also interesting to see that the vendor decided to launch an Extreme board for the mainstream platform again. With Z97 the most high-end board was the Formula and that generation featured no Extreme model. In other words it's now already quite a few years that ASUS last launched an Extreme board in the mainstream segment, which makes this board even more interesting.